Both interventions, however, raised more questions than answers and point to a shoddy piece of work to cover up a corrupt deal involving the Leader of the Opposition, Hon Wavel Ramkalawan, the Government of Seychelles and the Indian Government. All three are adamant that the Agreement should not be made public. Why? Should not we, the People of Seychelles, know what has been agreed upon regarding one of our islands? How can the representatives of the people in National Assembly of Seychelles vote on such an important piece of legislation without consulting their constituents? Is that what Ramkalawan meant when he said “’fer li ou lasanble”? Who is Barry Faure, the Foreign Secretary and brother of President Danny Faure (nepotism?????) to state that all copies MUST be returned to his office once the Assembly has ratified the Agreement? Is he in-charge of the Legislature? During his recent visit to India to participate in the Conference of Parliamentarians of Indian Origin, Wavel Ramkalawan indicated that a consensus had been achieved and the deal would be done shortly; even before the other MNAs had seen a copy of this agreement. So, is it a foregone conclusion that the Assembly shall ratify the Agreement? And if so, why? The Indian High Commissioner shamelessly told us that he is not privy to the type of facilities to be built on Assumption and that he was not aware of the total cost. How can an Agreement be signed if these things have not been agreed upon? Yet he referred to a “jetty”’ and a runway. We all know that a jetty is a structure that projects out into the water. According to sources with inside knowledge of the Agreement and Jane’s Defence, the world’s authority on military matters and National Security Sectors, India intends to build a 300 metres port on Assumption, bigger than the commercial one recently built at Ile du Port. Always according to Jane’s Defence, India intends to deploy jet fighters, frigates, submarine and anti-aircraft defense systems as well as soldiers on the island. Yet Lt. Colonel Rosette, Chief of Staff of the Seychelles Peoples Defence Forces, would want us to believe that his command would manage the operations of such sophisticated weaponry. 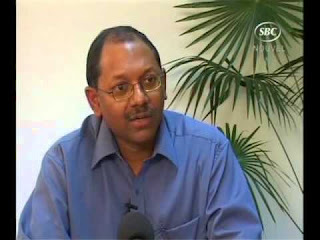 He too should resign for lying to the Seychellois public. The Indian High Commissioner further averred that India is not buying or leasing Assumption. So, India is being granted a License on Assumption? Once the 500 million USD infrastructures have been completed on Assumption, will the “droit de superficie” apply if a future government decides to end the Agreement with India? Will Seychelles have to refund India the amount invested on Assumption which equals to our present foreign exchange reserves? Why is the Attorney General, Mr. Franky Ally, mute on this matter? What is India’s legal guarantee on such a huge investment? As has been observed by several European ambassadors, pirates never operate around Assumption. It is too far south. Most pirates have been caught by the commercial ships with armed guards or by ships from the EUNAVFOR north of Mahe. India has thus far failed to capture one single Somali pirate in the Indian Ocean. It is plain to all that India is only vying for position in its geopolitical war in the Indian Ocean with China. Assumption will be used by India to extend its strategic footprint in the Indian Ocean. Once India settles in on Assumption, it will remain Indian Territory forever. Who benefitted from this treacherous act? Why is Ramkalawan so determined to see the deal go through? If Danny Faure is sincere about transparency, why does he not set up an independent commission to investigate the deal? We surely do not need any more crap from the Indian High Commissioner who anyway should be made persona non grata for lying to the Seychellois Nation!